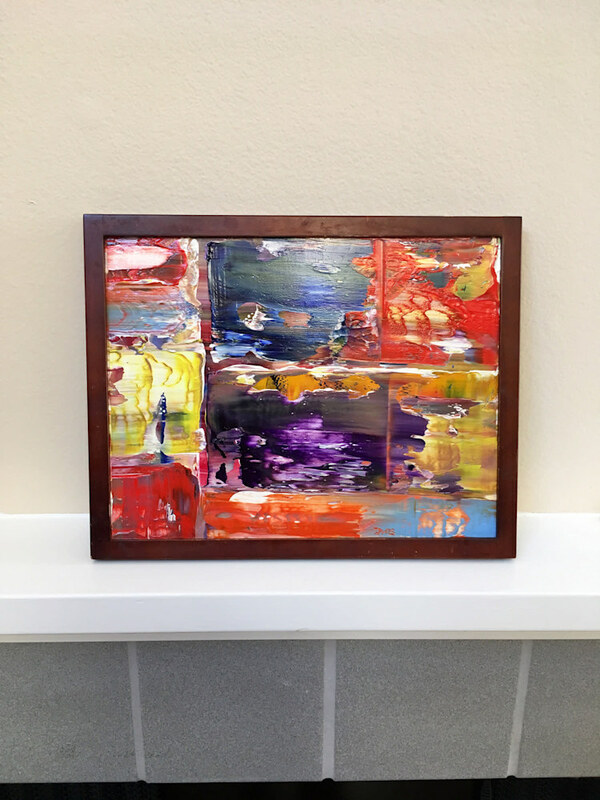 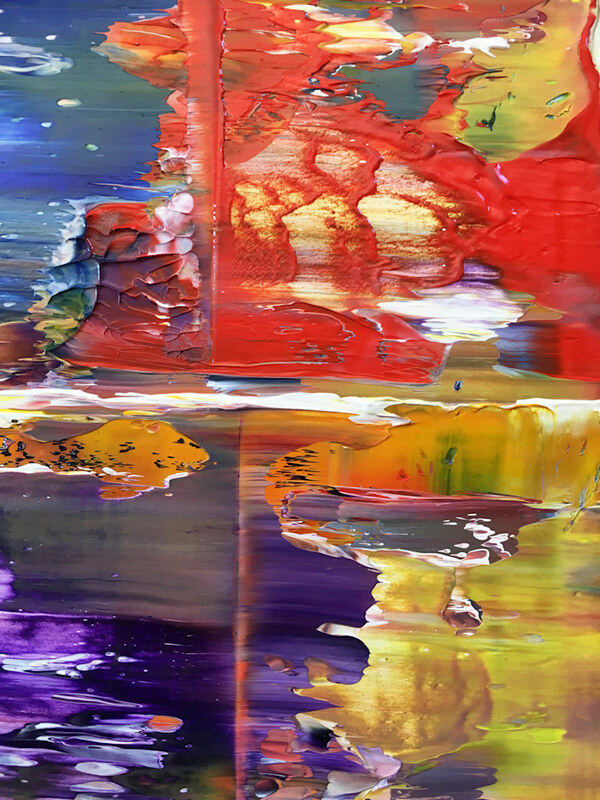 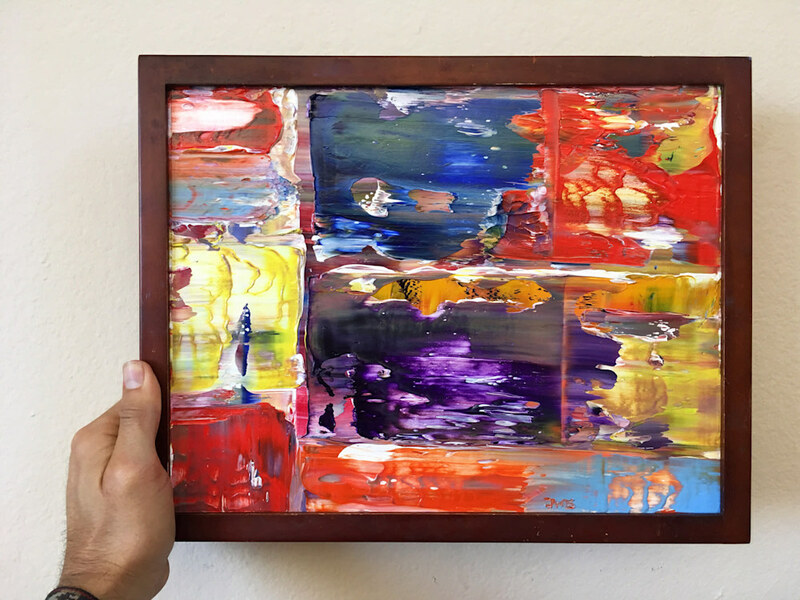 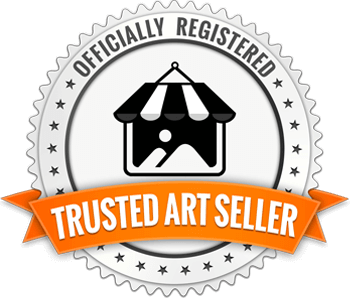 This is a dynamic and textured original abstract piece in my series of PMS Micro Paintings, where I paint unique mini artworks on antique and unique miniature frames. 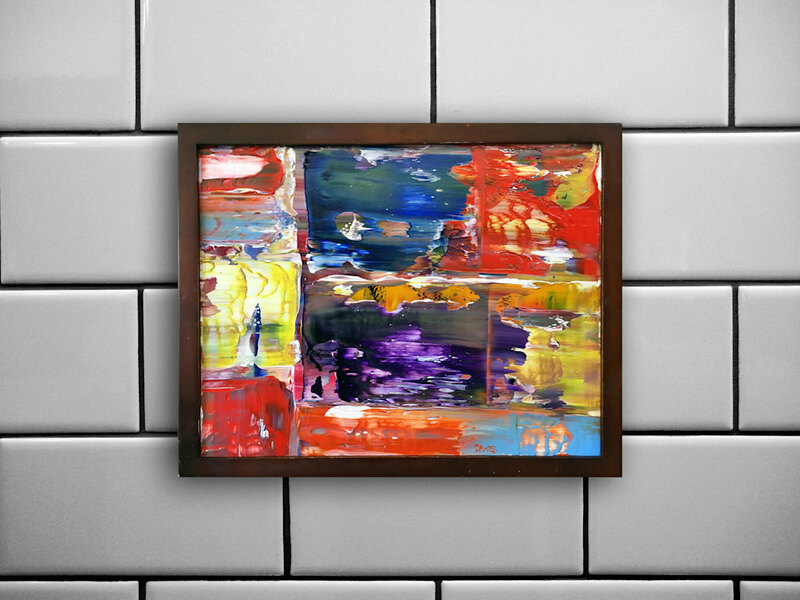 This is my most popular series to date and this piece is the 89th in the series. 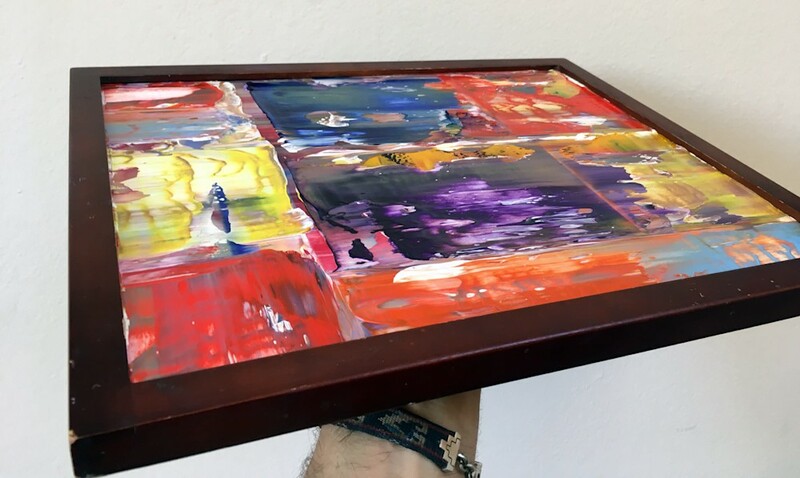 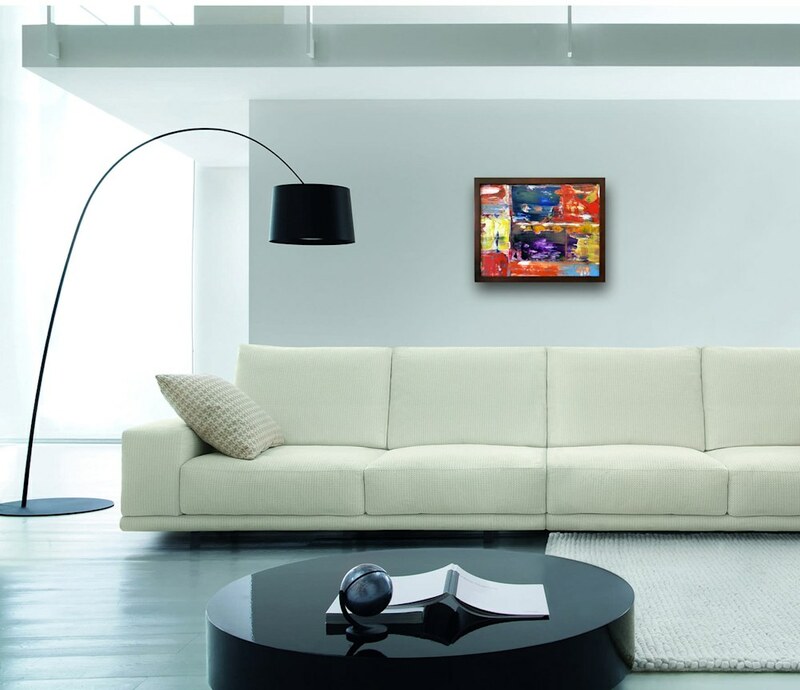 Unlike a normal painting where the frame is bought afterwards, I let the unique frame inspire each individual and unique PMS Micro Painting in the series. 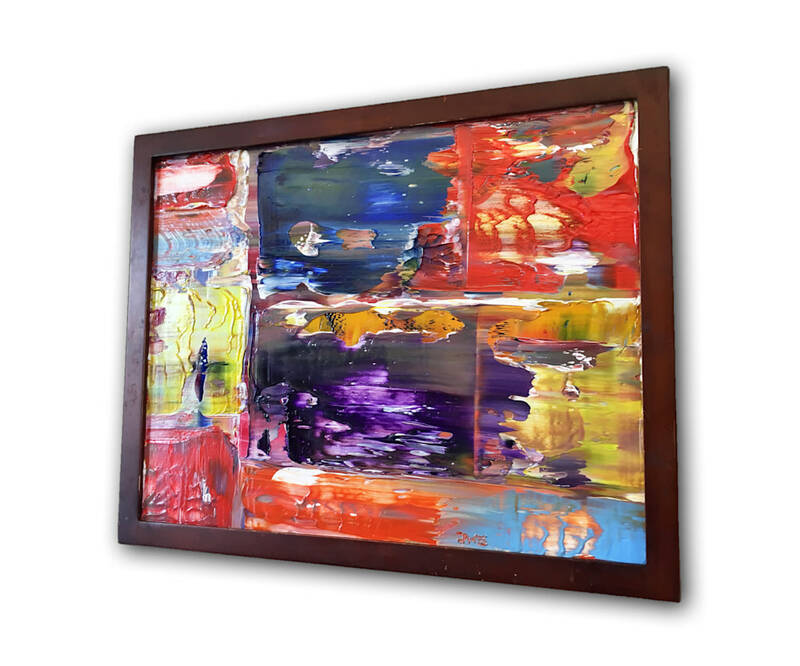 This painting was painted on a 13.5" x 11" glass surface and antique miniature frame (14.5" x 12"), utilizing a textured abstract technique that I have been working on over the years. 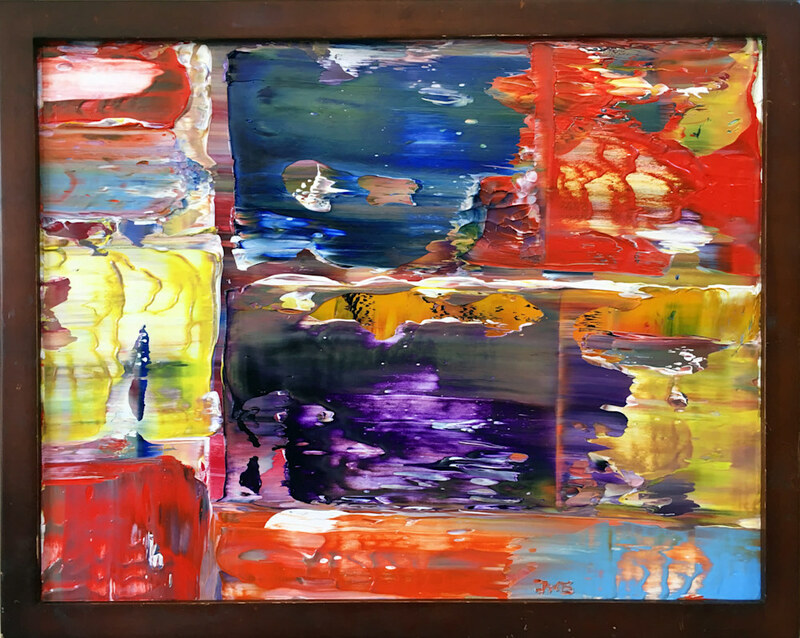 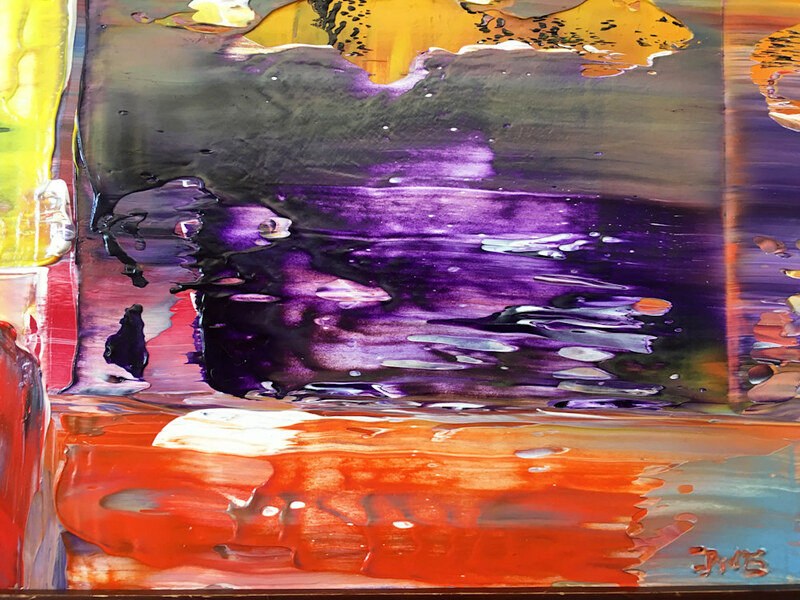 Messy texture and chaotic order jump off of the surface of this piece with energy and vitality, begging the viewer to touch it. 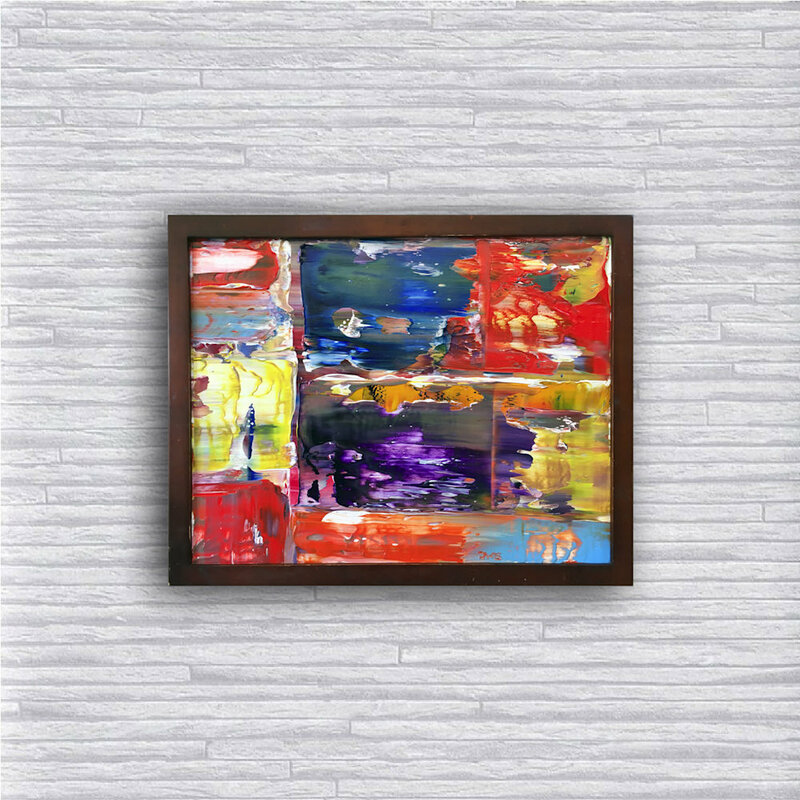 This painting an ordered chaos and beauty to its arrangement and is a unique miniature painting and frame like no other. 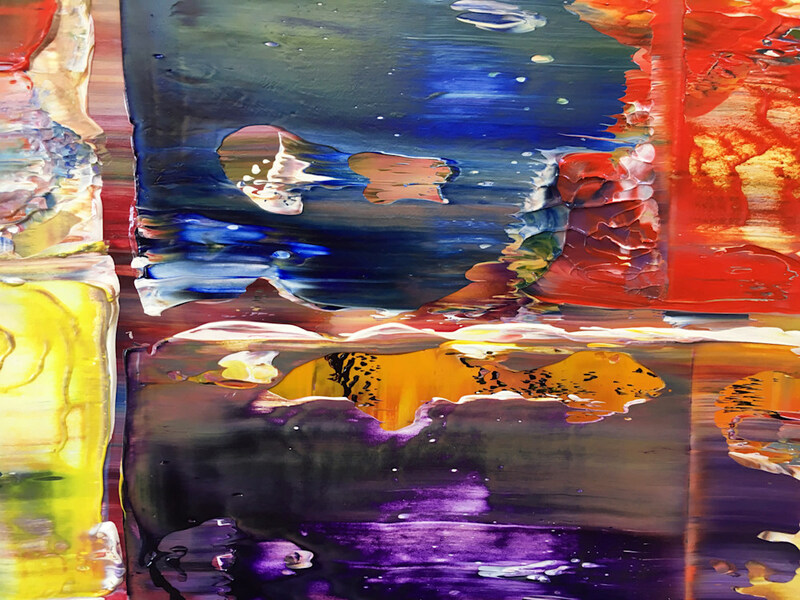 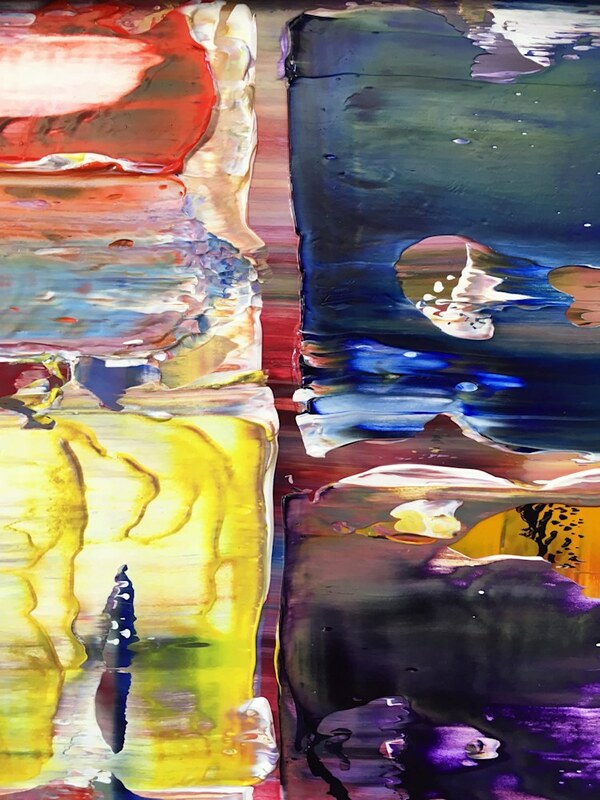 It is on the larger side of my Micro Paintings.